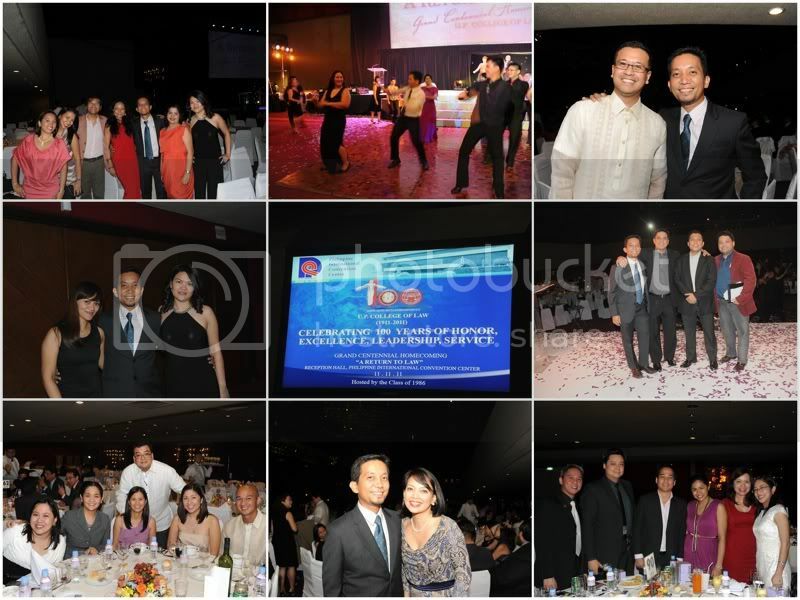 i actually didn't expect to have that much fun at the UP law homecoming at the PICC last night. and that just betrays what i think about lawyers and the law profession in general. even if they come from the same school as i. i say this because the first UP law alumni gathering i attended on my first year as a lawyer was a shocker. i've never seen so many disrespectful people gathering under one roof. absolutely no one -- except for us young ones -- paid attention to the guest of honor, even if he was a justice of the supreme court (presumably what all of us lawyers aspire to become). it was then that i realized that i wouldn't want to be speaking during an alumni homecoming because no one is interested in listening to someone -- regardless of the amount of brass he has on his shoulders -- because everyone is just so busy catching up. 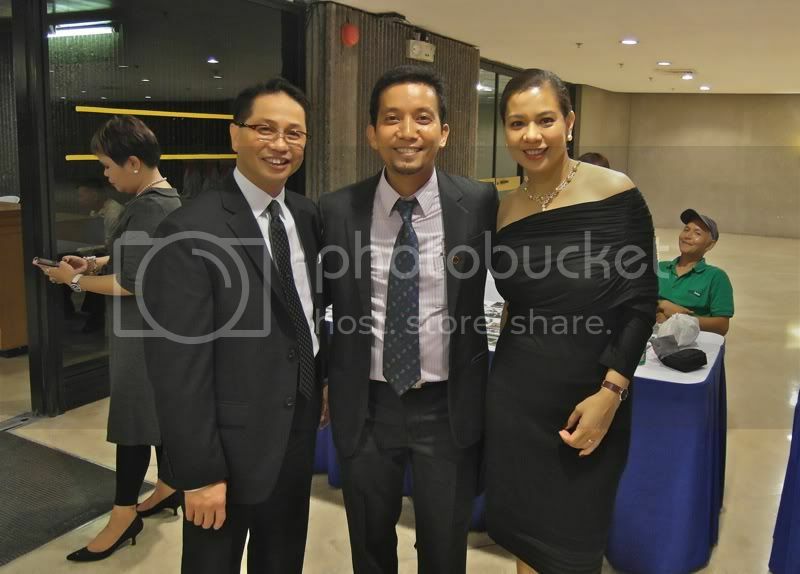 and this is no more evident for the UP college of law, which is a veritable who's who, and not just of the legal world. and i say that not because i finished my degree there. they repeated it several times, it kind of became an irritating mantra: 4 presidents, 4 vice-presidents. X number of justices and senators. hundreds of congressmen. 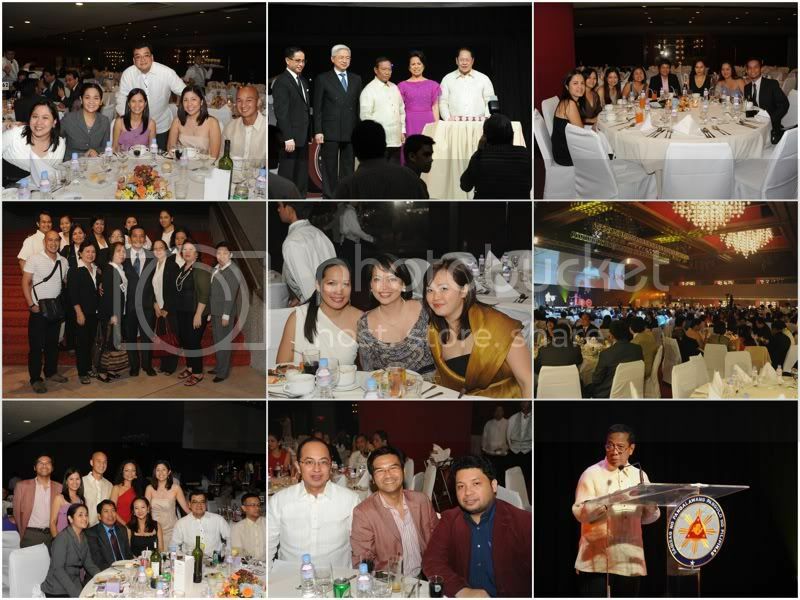 in fact, one table at the PICC reception hall was reserved just for senators. 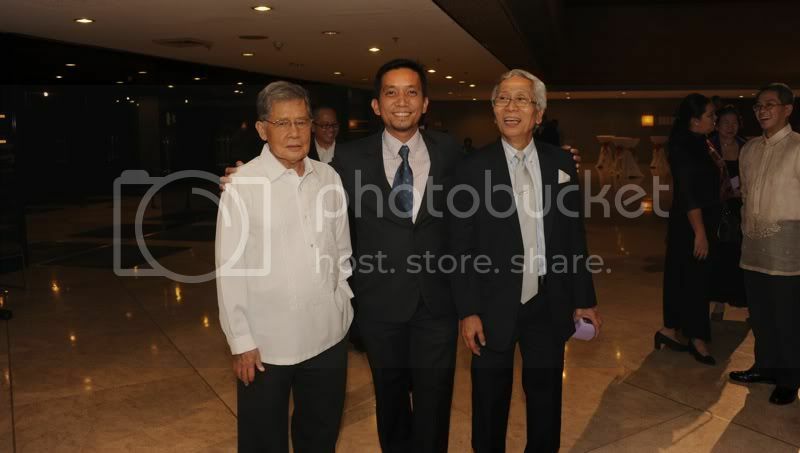 i spotted drilon, angara, gordon. i immediately realized: aren't we an arrogant bunch! i felt right at home. 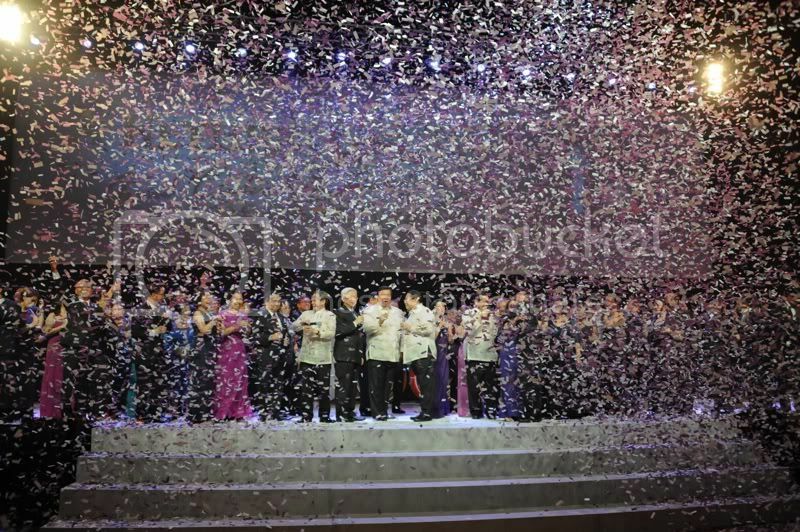 this year was no different: not a lot of people bothered to listen to binay, who zipped by from his birthday celebration at the nearby coconut palace to address his most skeptical and perhaps most critical audience, although it helped that the PICC reception hall had a high enough ceiling to mask the palpable din of irreverent conversation. there was a lot of catching up. i'm still young enough to not wax nostalgic, although we had swatches of that last night: people talking about how recitation and the whole socratic method have hammered them into the tough, unfeeling, afraid-of-nothing individuals that they are today. 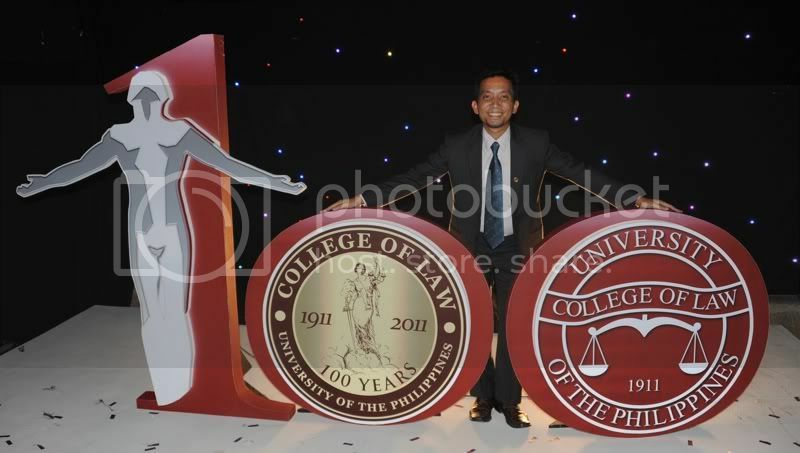 if anyone wants to take a trip down memory lane, there's the you know you went to UP law if... facebook page for that. on our table, the topic was the cost of the subpoena ad testificandum, and what we got in return: surprisingly bad food from via mare and the privilege of patting ourselves at the back while ogling at older lawyers who have been tamed by time. what rescued that evening was the quick attention of the waiters and their unique understanding of lawyers: that we want to keep ourselves boozed and buzzed. there was an unlimited supply of bubblies and i was served one sanmig premium drink after another. i also had fun doing a square dance. batch 1986 provided us with dance instructors, and i took a swig at swing. i only met one other person from my batch. our valedictorian JJ was there. but i sat with beautiful ladies from the batch next to ours, although i was frequently jumping to different tables to say hello to people i knew from law school. i normally have an honest and brutal, hence unkind, opinion of people during reunions, only because they look nothing like they did when we were still in school. but i have to say there are still several people there -- some much older than me -- who are still gorgeous and so well-preserved, it's almost embarrassing to belong to a lower batch. so i had lots of great fun: i bitched about the food, got lots of beer, danced a little, snapped several photos, laughed at the distant memory of getting a series of 5's, was surprisingly remembered by professors loved and unloved, scoffed at the program, clapped at speeches only because the speaker paused and the other table began applauding, and realized just how much life would have been different if i didn't find myself in the UP college of law.